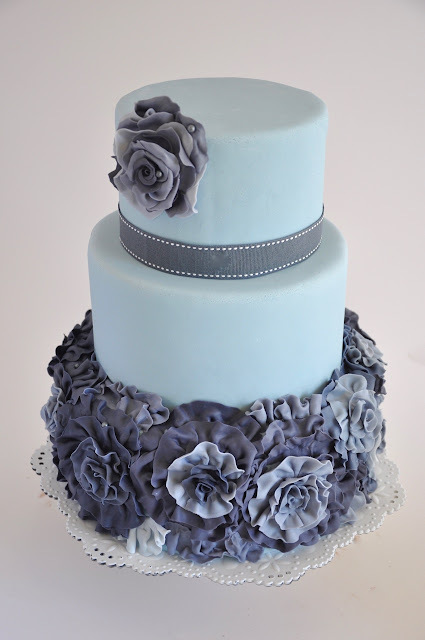 This blue ruffle rose fondant wedding cake was for a wedding in Paarl , Cape Town this Saturday. The bride requested a red velvet and white chocolate cake covered in different shades of blue fondant. I love this cake ! It is something different.